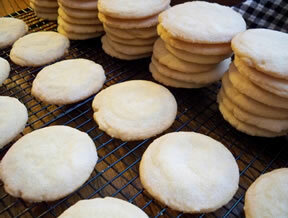 The simple taste of a good sugar cookie is sometimes all what we need to satisfy our sweet tooth. 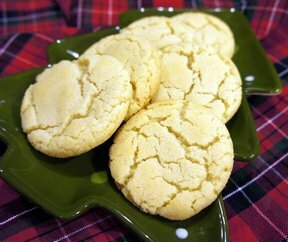 This sugar cookie has a delicate texture and great taste, just what you need to satisfy your sweet tooth. Cream the Crisco, powdered sugar, and eggs together until light and fluffy. Add the remaining ingredients expect for the granulated sugar; mix well. Chill dough for one hour. Make into small balls, the size of a walnut. Put on a cookie sheet. Press flat with a glass that has been greased and dipped in granulated sugar. 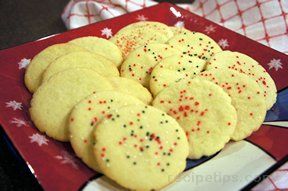 Sprinkle additional sugar over each cookie. Bake at 350° for 11 - 13 minutes, or until edges turn light brown. 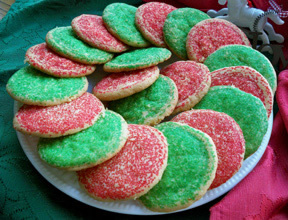 "Great sugar cookies! My kids couldn't stop eating them."